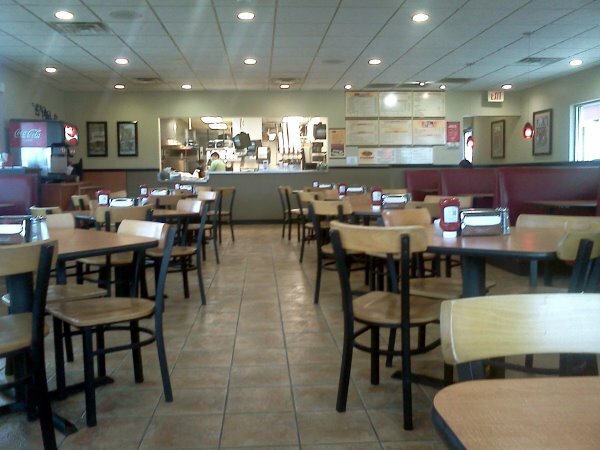 Spacious, many tables, good restroom. Drive-thru and drive-in. 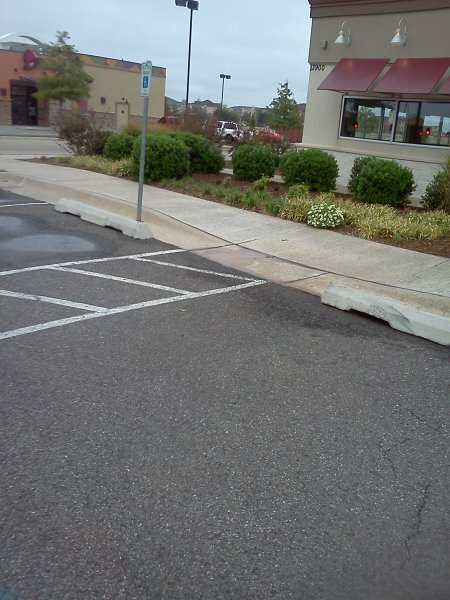 There are two disabled parking spaces in front with a loading zone between them. One has paint but no sign. 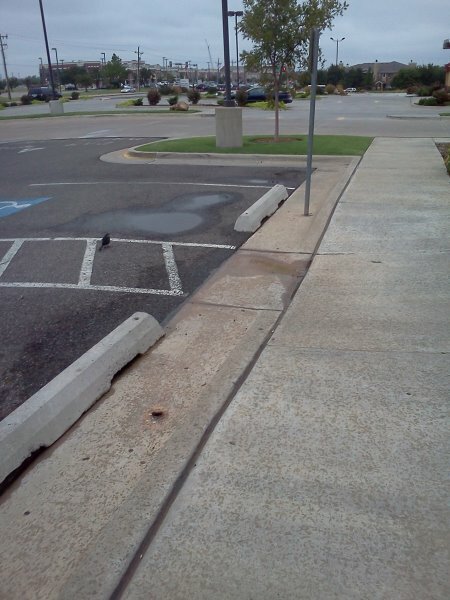 The curb declines gradually into the loading zone to make an easy ramp. The front door is a single that opens into an entrance and exit door. The second entrance door swings in easily. 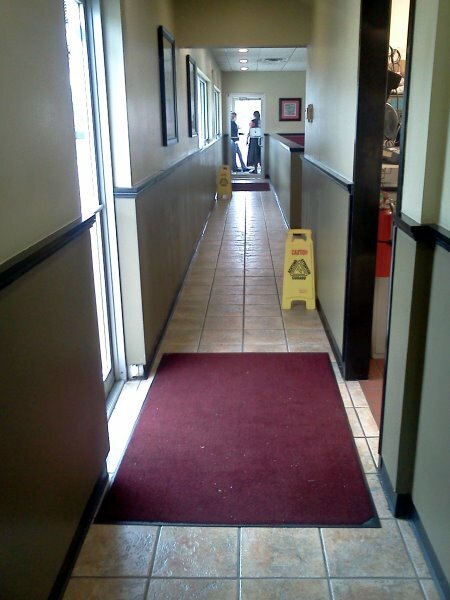 Upon entering the restaurant, you will be in a corridor that keeps the ordering line organized along the wall. 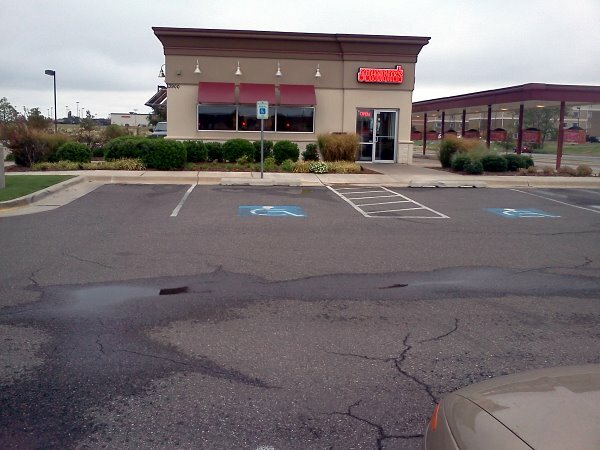 There is plenty of room here for everything except two wheelchairs passing each other. The menu is on the wall, which requires a bit of neck strain to make your decision. The ordering counter is a bit high, but the area at the end of the counter is slightly lower and reachable. The seating is great with many well-spaced tables in the middle of the restaurant eating area and booths around the edges. The restroom area is further down the initial corridor past the ordering area. The doors have good handles and swing easily. The restrooms (men’s at least) are single occupancy and spacious. 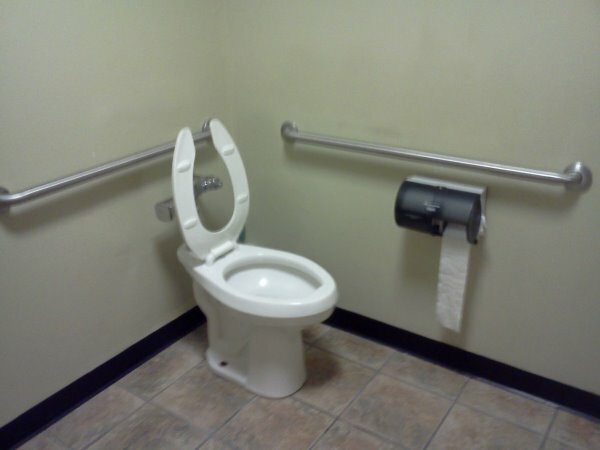 Two handrails are mounted for the toilet and t.p. is reachable. 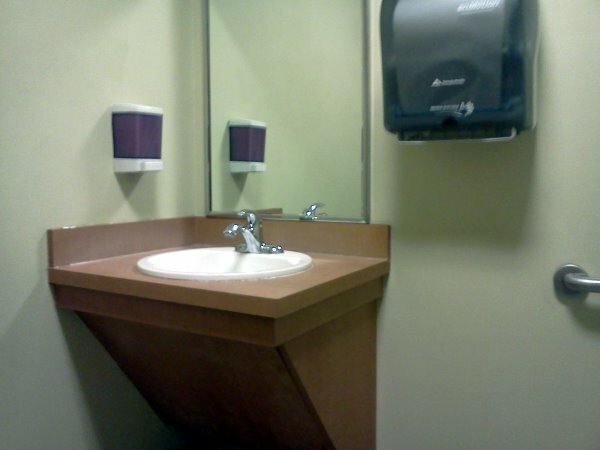 The sink, soap, and towels are all reachable as well. Overall, this Johnnie’s Express is well thought-out and is easily accessed if you wish to dine in. Combined with drive-through and drive-in options as well, there’s never a reason not to get a #9 Theta w/ Cheese.